It made me happy to see Ollie take a walk in the backyard on his final morning. It was sunny and warm, at least for a little bit, which was good because the chill didn’t agree with his aching back and arthritis-afflicted legs. Ollie cautiously felt his way down the carpeted ramp we’d installed for him over the back steps almost immediately upon moving in to our new home 13 months ago. And then he was into the yard as in healthier days, sniffing and peeing and snacking on wisps of grass as he liked to do. I stood with him, talked to him softly, scratched his ears, and after a few minutes he hobbled back toward the ramp, letting me know he was ready to go in. I helped him pad back up the ramp, nudging hind-end muscles reduced lately to little form or function, and we stepped inside to share the last of our time together. Ollie gave out, is about all I can say. I had him for 9 ½ years, my first dog in my then-51 years of life. He was at least three years older than that, though, the shelter only guesstimated his age at 3 back then. My wife kids me for reporting Ollie’s age as 12 since 2016. It doesn’t really matter, because in any event, his body was failing. 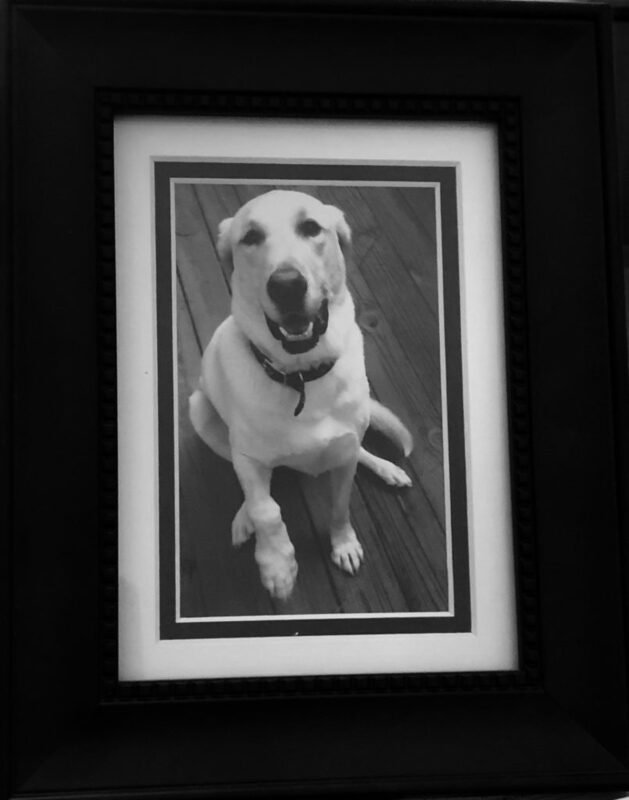 He was a yellow lab, a large one, and you know the hip dysplasia and rear-end atrophy and spinal nerve issues are coming for elderly yellow labs, as they came for Ollie. He was tough, though, God was he tough. Unbelievably so. Inspiringly so. It hurt me a year ago to see Ollie, poking about outside with me on a windy day, lumber down our long driveway woofing at the mailman. A misstep, or perhaps just the day’s stiff breeze, knocked him over. One morning last July, after a hectic holiday weekend at the house, he awoke on the floor next to my bed a shocking mess of urine and feces. He spent the day in a trance. All hope appeared lost. I called the vet and, through halted breaths and strangled words, made the appointment. But the next morning, Ollie was up and around and aware, ready to eat. It was as if that bad day never happened. I said please try to save him. After some hours, we all went home, with orders to let Ollie sleep, keep him comfortable. We set him up on blankets in the laundry room. Ten minutes later, I’m in my office, and there comes the familiar sound of dog nails on the wood floor . . . heading my way . . . Ollie on the move. We tried meds and water and laser therapy to try to mute Ollie’s pain, maybe to slow his degeneration. It might have worked a little, I don’t know. All I know is Ollie slowly lost bowel control, and that this strong, once-great athlete could not get up on his own if he lay down on any uncarpeted surface. Recently, he’d stand at his food bowl or in the mud hall, and at any second – thud. He’d be down, his legs unable to support him in that moment. Saying goodbye to Ollie, watching him drift off on his blanket by my bed, was a hard and terrible thing. In that, I know I have the boundless empathy of untold dog – pet – owners. As the kindly vet sent Ollie to the peace and rest he deserved, I played my guitar for him through my tears, a repetitive little melody that felt soothing and right. It was another bond we shared. In our old house, I’d play the piano in the living room, and without fail, wherever Ollie happened to be in the house, he’d make his way to the landing on the stairs, lie down and listen. Oh, Ollie. My partner. My companion. My friend beyond compare. My sweet, sweet boy. I am thrilled to be in Distinction magazine twice in this latest edition – once for a story on artistic director Tom Quaintance and the Virginia Stage Company, and again with a quick review of a little gem of a restaurant, Clementine’s at Riverview. The link to the VSC story is here. The more I do it, the more I appreciate my opportunities to stretch into new areas and challenge myself as a freelance feature writer. I still enjoy following and writing about sports, although not as much as, say, a decade ago. But back then I would have never foreseen myself diving into the guts of a theater-company’s comeback, profiles of Eastern Shore artists or the ins and outs of making bourbon in Virginia. This new direction has been great so far, and I look forward to treading more different turf as 2019 unfolds. I’ve said this before, but I also plan to post on this blog much more often, touching on this and that and hopefully keeping my wits and writing chops sharper in between paid assignments. A little golf talk here. Brooks Koepka, a very good professional golfer, just won the U.S. Open for the second year in a row. This is a simple sentence that is more than it seems, because going back-to-back at the Open is a devilishly tough chore to accomplish for a number of reasons. The event moves each year is the main one, unlike the Masters. The United States Golf Association is notorious for its lunacy of monkeying with whichever course is in play to keep the winning score at or near par. Getting to peak performance level 365 days later is another reason. It’s just hard, OK, even for the world’s best. In any event, very few men have won the U.S. Open in consecutive years. Koepka has pushed that list to seven, adding a name for the first time in 29 years. You might have heard the last to do it was Curtis Strange, who was born in Norfolk, raised in Virginia Beach and went on to a world golf hall of fame career. Strange was a fierce, almost crazed competitor. He brought remarkable intensity to his job, fire that burned and flared and was impossible to sustain into his golfing twilight more than a decade ago. Now a broadcaster, Strange actually was the first media member to interview Koepka after his Sunday round, which was an interesting twist. This is all to say I actually always liked Strange in my few dealings with him as a sports writer. I came to writing about golf late in Strange’s career, when his mellowing, believe it or not, had begun. I’m pretty sure my first dealing with him was when he played the U.S. Open at Pinehurst in 1999. I remember he was paired the first two rounds with Jack Nicklaus, and that one of his sons carried his bag. 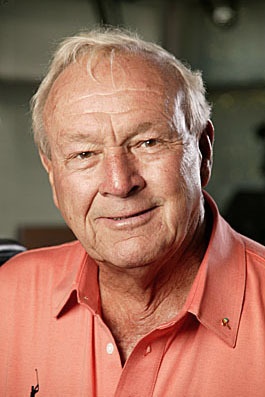 Strange missed the cut but was patient and gracious as he discussed the thrill of working with his son aside Nicklaus. I interviewed Strange multiple times later on; when he came to Portsmouth to do a clinic at the Bide-a-Wee course he’d redesigned years earlier. I have a photo of he and I talking on the range. When he was the Ryder Cup captain in 2002, a losing one, but whatever. I prepared to cover that Cup at The Belfry in England, but alas my employer pulled the plug. :/ I WAS sent to Naples, Fla. to cover Strange’s senior tour debut in 2005, when it seemed apparent his heart wasn’t in it after enduring some personal struggles. That sense turned out correct; Strange was an indifferent senior player for only a few seasons. And once more to Florida in 2007 to write about Strange’s induction to the hall of fame. I think the last time we spoke was in 2011 at Congressional outside D.C. when Strange, with ESPN at that time, analyzed Rory McIlroy’s U.S. Open victory for me for my column. In all those times, I never recall him directing a cross or impatient word toward me. Sarcastic, yes, but all in fun. My former colleague Jim Ducibella, for instance, who was at Augusta when Strange blew the Masters, can’t necessarily say that. Shudder. So Curtis is through as a running footnote to history, at least as the U.S. Open is concerned. Some applaud, but I never begrudged him his time on that stage. However you regard Strange, a yearly curtain call for such rare achievement seemed fair by me. I wrote a newspaper story nearly 12 years ago that evidently had the newspaper’s digital hit-meters buzzing today. Cyberspace is an odd animal. It’s truly a long story about a man and a woman. Cal Bowdler was an Old Dominion basketball player who was a first-round NBA draft pick who flamed out in three dubious years. His wife Brooke was a junkie. They were trying to work out a life that ultimately did not work out. Hearsay, but I am told Brooke appeared on the Dr. Phil show Friday and blamed her drug problem on her ex-husband. Certainly there is more that was said, and I don’t know why Brooke (formerly Tamara) warrented being on the show in the first place, so we will all consult Professor Google and perhaps see for ourselves. Viewers obviously already did that and resuscitated a cold, dusty tale. Anyway, I was interested to hear that this story resurfaced for a day. I remember all the machinations of writing it, and I am happy with the final work that came from it all. Can’t wait to see what floats to the surface next. I came across this old column just now, foraging a cabinet for something else. It’s a pleasant surprise, in that it is actually one of my old columns that I like, because so many make go “meh” at best. It’s about the day more than 10 years ago (!) that Bobby Wilder was introduced as the head coach of Old Dominion’s football team, then little more than a glow in the eye of the ODU athletics department. Today, the Monarchs are a contender in FBS Conference USA, play ACC opponents (no W’s yet, but maybe soon) and have a stadium renovation on tap. I have decent recall of introduction day; the swirl of activity and buzz in the Constant Center, Wilder, a longtime assistant at Maine, where he played quarterback, showing up with hair and an impressive 5 o’clock shadow to give his first rah-rah pep talk, me softly approaching Wilder’s welcoming wife Pam to pose some questions as her husband did other interviews afterwards. For sure, I remember his energy and his promise to bring it every day, around the state, to start carving a name for ODU football. It seemed a daunting chore, for sure. But ODU fan or foe, you have to judge the past decade a wild success, probably beyond even what Wilder, the most self-assured of men, saw in his quiet moments back then. NORFOLK — One interesting fact on an afternoon filled with them at Old Dominion: New football coach Bobby Wilder and his wife, Pam, operate a cable-free household in Bangor, Maine. Sports are Bobby’s life. But, Pam Wilder said, ensuring their two young sons are undistracted readers is worth an ESPN vacuum. Not that the coach himself avoids the temptation 24/7. It’ll be hard not to learn a volume of interesting things about Bobby Wilder over the next couple of years. His preference in defensive line schemes. His taste in office decor and uniform styles. Heck, boxers or briefs maybe. Anything and everything. If there’s a radio or TV, soapbox or service-club meeting near you, Bobby Wilder is going to be on it or at it — in the words of athletic director Jim Jarrett — “sell, sell, selling” ODU football. Questions? Wilder will take questions until your well of curiosity runs dry. Comments? He’ll comment till the cows AND the sheep come home. Pitches to move tickets and luxury suites for ODU football in 2009? Wilder will wind up and deliver all day for you — until it’s time to go wind up and deliver for you neighbor. “He’s perfect for this,” promised Pam Wilder. “For him, it just rolls right off, he’s so comfortable doing it. That’s huge because Wilder, 42, is a coach with no one to coach until — clear the calendar, Monarchs fans — 4 p.m. next Feb. 6. That’s the time and date of his first open tryout for walk-ons for his first team. Garden club? Preschool assembly? Car-wash ribbon cutting? Wilder has scissors, and he’s not afraid to use them. So many ODU people he’s already chatted up, Wilder said, “want to know what we’re going to do offensively and defensively, but they also want to know where am I going to park on game day? Schmooze his way through it is more like it, with boosters and potential boosters, of course. But even more importantly, with the raw material of his construction project: a state full of recruits and coaches who’ve never heard of this 17-year assistant from Maine. Yet. Give him till next Tuesday. Cable sports, Wilder has shown he can live without, sort of. But a fully charged cell battery? A new coach in a new land can have no greater friend. I hate that I have been absent for the longest stretch since beginning my blog a couple years ago. If I am a writer, I need to write. Right? I apologize if you have checked in here over the summer and found nothing new. I understan d if it’s been a while since you tried. It isn’t as if there’s been nothing to write about. Let’s see. Well, Dee and I got engaged in the Eiffel Tower in July. Let’s start there. 🙂 It was during a European swing through Amsterdam and Bruges, the postcard-perfect old Euro village in Belgium. Dee set up a dinner for us in the tower, so the time and place could not have been more perfect. We came back with Eiffel Tower mementos and a thrilling future before us. Traveling has been big. We visited Houston in June; Dee’s brother, sister-in-law and other relatives live in the area. Two months later, we watched the Hurricane Harvey devastation of that huge metro area with jaws agape, on edge while waiting for text messages from Mickey or Teri to say they were all right, stunned to see the photos of the tree that crushed the roof of Dee’s aunt and uncle’s house. Where else? Yes, Dee took her kids (and grandkid, and me) to Vancouver, renting a rambling old house in pricey Point Grey that overlooked English Bay, with its busy traffic of container and cruise ships. Downtown Vancouver sat off to the right. The view, the entire vibe, was very San Franciscan. Houses on a hill, bridges spanning the bay, fog and mist in the morning, light air due to lack of humidity. Vancouver has a huge TV and film industry, did you know that? It’s the setting for many shows and movies, subbing for someplace else. Johnny Depp was filming a movie around the corner. We loitered outside the house a couple of times, drawing narrowed brows from security. We saw nothing, but also were not arrested for ogling. We got back, and left again. I always miss my kids, so after spending a few awesome days with Rachel in San Francisco in June, I planned a trip to Colorado to see Connor. It had been more than three months since I’d seen him. That’s about the outside of how long I want to go without seeing him or Rachel. And after having not done a triathlon, my new hobby/obsession, since June, I thought to piggyback a race with our visit. I looked and it so happened there was a race (Olympic distance) in Boulder, a ground-zero area for triathlete and triathlon training in the U.S. What better place to test my progress and my will? I saw, I trained, I worried about the 5,000-plus-foot altitude — it was an issue, but not as bad as I feared. Bottom line, I thought I’d have to get fished out of the Boulder Reservoir a few minutes into the 1,500-meter swim leg. I was gasping, struggling to find a breath/stroke rhythm. I stopped a couple times to tread water. But I persevered, always the key in triathlons, and survived the swim, endured a tough bike ride with the portrait-like Flatiron mountains hulking on the horizon (a beautiful bonus) and battled leg cramps during a super-slow 10k run to finish. Connor and Dee were waiting with arms open and wide smiles at the end. I tear up still thinking about their love and support. What a great day. This weekend, we’ll celebrate Dee’s birthday with some wine-tasting outside Charlottesville, one of my favorite places. What happened there a month ago breaks my heart. I don’t understand how the town came to be the involuntary host to people spewing such vileness, or why the latter has come to its present state as it is. After a while away, I was fortunate to visit Charlottesville last weekend, wearing my sports writer hat again for the Associated Press at a U.Va. football game. The day was beautiful, and I was filled with blessed memories of my time there with my two beautiful children. I was filled with gratitude for the days I’ve spent there, and lifted by the love and good fortune that surrounds me now. Life is great. (So is Ollie, btw, if a little more hobbled due to his hip dysplasia/arthritis.) It is so full. I propose to return here more often to share and to say hi. The following is FAKE NEWS! It is NOT REAL! If the term fake news had existed in 1998, perhaps we would have worked it into the April Fool’s Day story that appeared in the newspaper’s feature section. That’s right, we intentionally faked an outlandish story and ran it as if it was all true. Man, was it a different time. Things were flush in the dead-tree publishing business. We felt our oats, so to speak. And the paper had run an April Fool’s joke or two before, so there was precedent. So the features editor, formerly the sports editor, had an idea to perpetrate another harmless, and hopefully humorous, joke on April 1. He asked me to take part, i.e. to write the thing. But write what? I huddled with him and few other features people about a week out. We decided on the following theme — a symbol was going to replace the name Hampton Roads that everybody hated. That and other kernals of truth sprinkled among the text — arguing mayors, breathless politicians yearning for a sports franchise — lured in and confused people, just as we intended, even though the story (which is way too long, in hindsight) grew more ridiculous as it went. We knew this by the nastygrams we got in the aftermath, including from the paper’s editor, who evidently was not in on the joke ahead of time. And yet nobody got fired! I wrote it as M.R. Gilltaye. Say it fast, without the first period. The advertising firm was named AFD (April Fool’s Day). And one of our designers came up with not only the yellow arrow (I don’t have a reproduction, sorry), he actually photoshopped a picture of a helicopter carrying the huge, inverted arrow to the unveiling at MacArthur Center. Damn brilliance. You had to read all the way to the final sentence to learn for sure it was a gag, and even then it didn’t really slap you in the face. But there was a disclaimer next to the story that definitively did confirm the fakery. Ha ha ha, you people. Get it? Huh? Huh? Anyway, I saved the stupid thing, and I post it here — probably against all newspaper copyright rules, but oh well — as an enjoyable blast from the past, even if it is perhaps only enjoyable to me. Perhaps the most critical era of Southeastern Virginia dawns tonight with the unveiling of a new-age symbol to replace “Hampton Roads” as the prevailing identity for this region of 1.6 million people. Six of the region’s mayors, and the president of the New York advertising firm that conceived the symbol at a cost of $3 million, will gather for a 7 p.m. ceremony at the MacArthur Center construction site in downtown Norfolk. There, they will officially announce the retirement of Hampton Roads, the controversial and largely ineffective nickname that served the region locally and nationally for more than a decade. In its place will be put a symbol, — a curved, upward pointing arrow, coincidentally resembling the universal traffic sing for “detour” – that will represent the region, beginning immediately. The symbol, the official said, was conceived with the wildly successful swoosh of the Nike athletic shoe company in mind. Also, The Artist (Formerly Known as Prince), who promotes himself with an untranslatable, but highly recognizable, symbol. The symbol is the brainstorm of AFD Advertising, Manhattan marketing specialists who were contracted by the (Formerly ) Hampton Roads Partnership with public funds last year. “I applaud the leaders of FHR for their incredible foresight and courage in taking this unprecedented step in municipal government,“ said Adam P. Feinbaum, AFD’s president. “With this symbol as their trumpet, they will succeed in not only putting FHR on the map, but also in announcing that FHR is a bold and progressive location for businesses and families that only needs major sports to make it truly world class. In this case, necessity truly was the other of invention. In the spirit of regionalism, the mayors had met secretly for months, according to the official, trying to agree on a replacement for Hampton Roads. All conceded that the nickname had failed miserably and, in fact, had created more confusion than clarification as to who what and where Hampton Roads was. Apparently the deciding factor in changing the region’s name was a Gallup Poll of 3,689 households in the East and Midwest commissioned by the (Former) Hampton Roads Partnership. Asked to identify “Hampton Roads” on a map, a shocking 52% of adults pointed to various parts of the interstate highway system in 18 different states. The trouble was only starting, however. Repeated attempts by the mayors and their marketing arm to find a new, common name to tout the region’s charms proved prohibitive. The provincial animosity that has scuttled a laundry list of would-be regional projects in the past flared mightily again, the official said, particularly between Norfolk’s Paul Fraim and Virginia Beach’s Meyera Oberndorf. Finally, at hopeless loggerheads, the mayors turned to AFD, which has created and launched successful ad campaigns for Kellogg’s Frosted Flakes, Preparation H suppositories and Jaclyn Smith Kmart sportswear. Symbol, Feinbaum thought. Not words. A surprisingly simple symbol, the up-arrow starts straight, bends to the right and precedes upward. Feinbaum said it perfectly captures the positive spirit and FHR can-do attitude. The arrow’s move to the right, Feinbaum said, is most important and of great intrinsic value. Each area city will continue to operate as a separate, nameless entity, the regional official said, but it will share the symbol, if not water. The next logical step is the removal of Hampton Roads from all highway signage, maps, monuments and brochures, replacing those words with the symbol. In addition, letters must be written under a symbolic letterhead to the commissioner of each major league sports league so there is no confusion when they award their next expansion franchises. Norfolk sports figures, and longest-lasting by far, I met in my first week at the Norfolk newspaper in 1983. I liked his gruff, kindly, impatient, intelligent, know-it-all, generous, cheap, arrogant, bombastic, infuriating, scowling, needling, racist-joking, filthy-mouthing, kid-hating, never-ever-wrong, hilarious, snarky, deaf-as-a-post, totally genuine, contradictory self well enough — without really knowing him well at all, if that makes sense. I think in 34 years I saw him once outside of a ballpark or a sports banquet, at a very long-ago lunch. I hadn’t spoken to him in more than two years, although I emailed him a couple of times over that period after he’d had some health scares. I never got a response, but I trust he received my well-wishes. After leaving the regular sports ramble, I regret I didn’t drop by his office at Harbor Park to say hi, or make it a point to happen upon one of the weekly round-table lunches he enjoyed with other local sports figures. Wrapped up in my own woes and worries, I suppose. I will miss Rosie – my preferred spelling of his nickname — like so many in Greater Norfolk, and today I riffle through vivid memories of our professional relationship. It was early August and they gave the really green greenhorn a weekend assignment to cover some summer-league baseball championship at Met Park – known, of course, as Old Met Park since that dump was wrecking-balled in 1993. I skulked to the far corner of that narrow press box low behind home plate, all of about 30 feet long, to set up shop for the game. It wasn’t a minute before I felt eyes from a hulking and, um, very portly man sizing me up. I gave a sideways glance as that form slowly approached. They’d told me to look for, and look OUT for, Dave before sending me onto his turf. It was totally like walking into a fiefdom. Dave was already a fixture, 20 years into his local minor-league baseball tenure. He owned a place and a career and a passion as much as anyone I have ever known. I returned his hello, explained just a little bit about how I came to be in his presence that afternoon, and a relationship was struck. 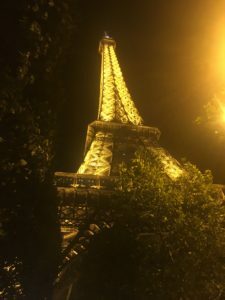 It was one that grew more familiar, and occasionally contentious, when I took over the Tides beat – then still a full-time, traveling, exhaustive grind — from George McClelland in 1988. It was a fortuitous, for me, and rewarding association. Rosie loved to hear himself talk, and so he enjoyed holding court with coaches, major-league executives and reporters. For the latter, he was forever a go-to guy for honest commentary, unvarnished opinion and franker still, off-the-record truth as he saw it about sports, politics and scads of matters far-afield. The remarkable, underlying constant was the knowledge that Rosie was one-degree-of-Kevin Bacon from pretty much any individual who ever played professional baseball. Ev-er. Think about that. It’s a hell of a thing. He knew everybody and everybody knew him. His kind is down to a precious few. I know I pissed him off many times with my reporting and writing. I scooped the Mets’ announcement of September call-ups once and he and the Mets’ GM tore me a new one. He lectured me early in my coverage tenure about describing the Tides’ play as “miserable” in print after they’d played a particularly miserable game. During a week of rainouts, I quoted the groundskeeper about what a stink dead earthworms beneath the field tarp created around the home-plate seats. Rosie was not pleased. Another reporter and I bought plane tickets and invited ourselves along to Shea Stadium when he and the Tides president went to talk about the Mets’ demand for a new Tides stadium or else. Rosie harrumphed and vowed to give us no information, but he didn’t ban us from the Shea offices. We ended up sharing an airport cab both ways. And I’m certain he shared plenty of information. I disappointed him badly at least once, too, although he never said so. I forget the occasion, maybe his 50th year in the business, and I wrote a profile of him that did not emerge as the puffery he expected, but a more warts-and-all recasting of his local omnipotence and contradictions. When I saw him, I could tell it had hurt him. But no one ever said the story wasn’t accurate and fair. 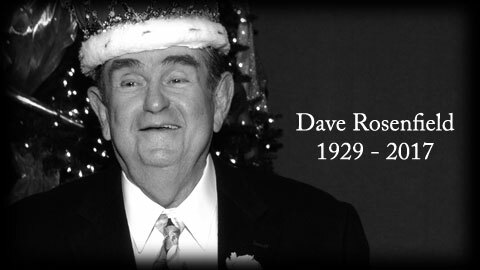 Throughout, and even thereafter, Dave remained a friend, a supporter and an unforgettably engaging character. He cracked himself up with story upon story, usually punctuated with his huge thunder-crack of a laugh. He ripped into employees up and down. It could not have been easy to work for one so demanding and temperamental, or even to be his close friend. I know people who were estranged from him for years before mending fences. Yet he somehow fostered surprising loyalty. Rosie being Rosie, if you knew him even a little bit, was a great, never-dull and stunningly consistent show. During his full-time run as GM – before emeritus status the last few years – he missed a very small handful of games. I am fuzzy on this, but I think he missed just one – if any at all — in the late ‘80s when his first wife died. The ballpark was his solace and his sustenance, through every workaday chore. He even created and hand-wrote the entire International League schedule for decades. What the hell? That’s crazy. I enjoyed seeing him around the ballpark. I enjoyed his pontifications. I enjoyed Rosie being Rosie in its entirety, and I file it as a highlight of my journalistic life. Regards, and sympathy, to his family, friends and the entire Tides front office. As a sports writer, a golfer and an avid golf fan, I have been fortunate enough to cross paths and interview such hall of famers as Jack Nicklaus, Tiger Woods, Curtis Strange and Fred Couples. I’m sad about that one. I’ve seen snippets from Palmer’s funeral today, and the love and respect emanating from that ceremony was palpable. I’ve read retrospectives of Palmer as a golfer, a business-savvy professional athlete when no one else had the vision or guts to negotiate off the strength of their place and persona, a marketing genius, a father, grandfather, a philanthropist, course designer and a global citizen. They eulogized Palmer as a pioneer, one of those naturally swashbuckling individuals who sucked the oxygen out of every room he entered, who schmoozed as easily with queens and princes as with gallery hounds of any age. Who men wanted to be and women wanted to be with. I can imagine Palmer was one of those people who never met a stranger. Who greeted everyone, especially as his legend matured, with a wink or a kind word, fully aware that the moment being shared would be indelible for the one he was sharing it with. He could never have a down or an off moment, and I’ve never heard tell of that happening. It chokes me up to see the video of his attempted last press conference at his last U.S. Open, at Oakmont near his Latrobe, Pa., home, in 1994. He couldn’t get through it. Same for his final Masters, 10 years later. This is a nice tribute the Golf Channel crew, including author John Feinstein, put together today. Arnold Palmer made professional golf a behemoth through his magnetism, integrity and trailblazing athletic courage. God bless him. God bless The King.